Mega Arbel II is out!!! 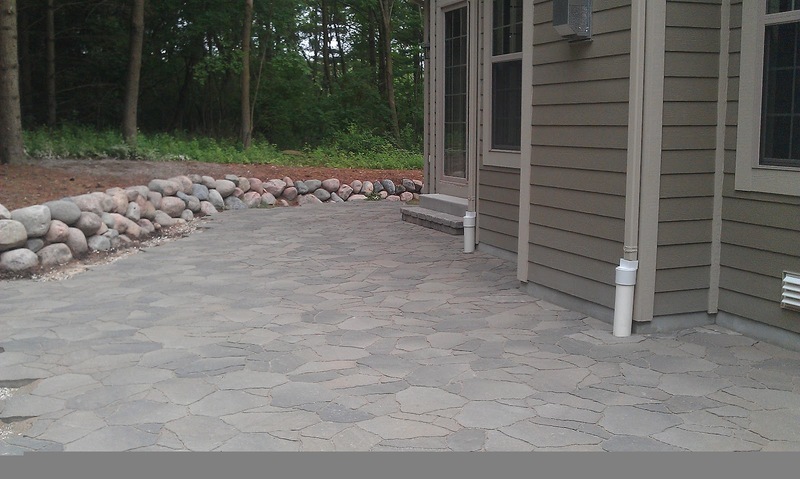 Now you can have the look of flagstone with the durability of a concrete paver product. 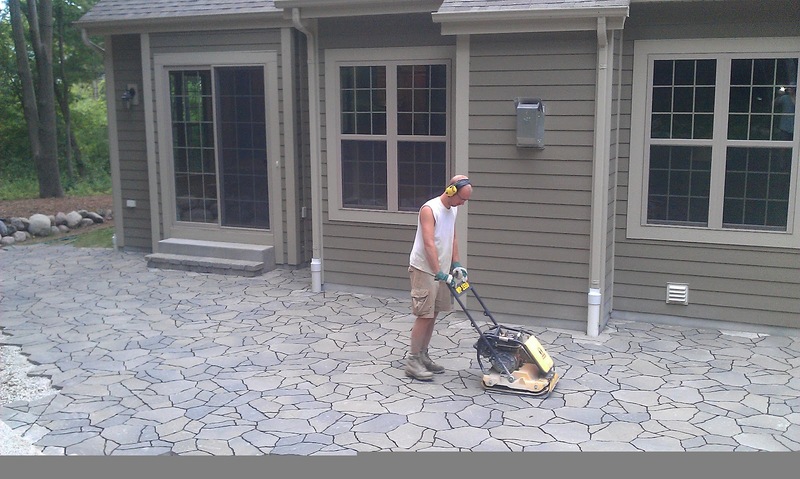 Check out Champion Brick for the full line of Belgard pavers. This paver project in the Waukesha area blends well with the natural landscaping and wooded lot. 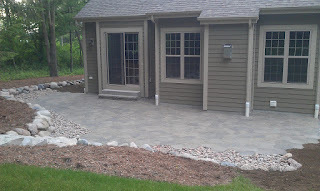 Have Bob's Grading build your dream patio today. Additional Pictures of this Arbel Paver project. 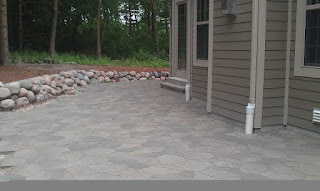 After this first compaction polymeric joint sand is added.